We all utilize the critical infrastructure of water and wastewater treatment multiple times a day. When you flush your toilet, wash your dishes, take a shower, wash your car and even drink tap water, you are likely utilizing this massive infrastructure system. Let’s not overlook, the large Industrial manufacturing and processing facilities that provide us with our daily products are also very dependent upon the same water and wastewater treatment systems. The importance of these systems cannot be understated as they protect public health, environmental sustainability and our quality of life. Water and wastewater treatment systems carry significant risks that must be managed through uber reliable systems and stringent quality assurance processes. The environmental and public health impacts from mismanaged wastewater are of the scale that could cause companies to close, municipalities to fail, and the general public to be without a clean, usable water source. With consequences of that magnitude, managing risk upstream and throughout the process is critical to the longevity of stakeholder interests. IPS has helped companies and municipalities by fabricating uber reliable panels that are integral to the control and reliability of these systems. Wastewater treatment plants utilize pumps and motors around the clock which means that the controls and control panels behind them are doing the same. IPS prides itself on providing the control panels and supporting numerous industrial wastewater projects that assisted in the modernization and upgrading of their controls systems. Providing the public with clean, safe water and an uninterrupted manufacturing of products necessary for our daily lives. 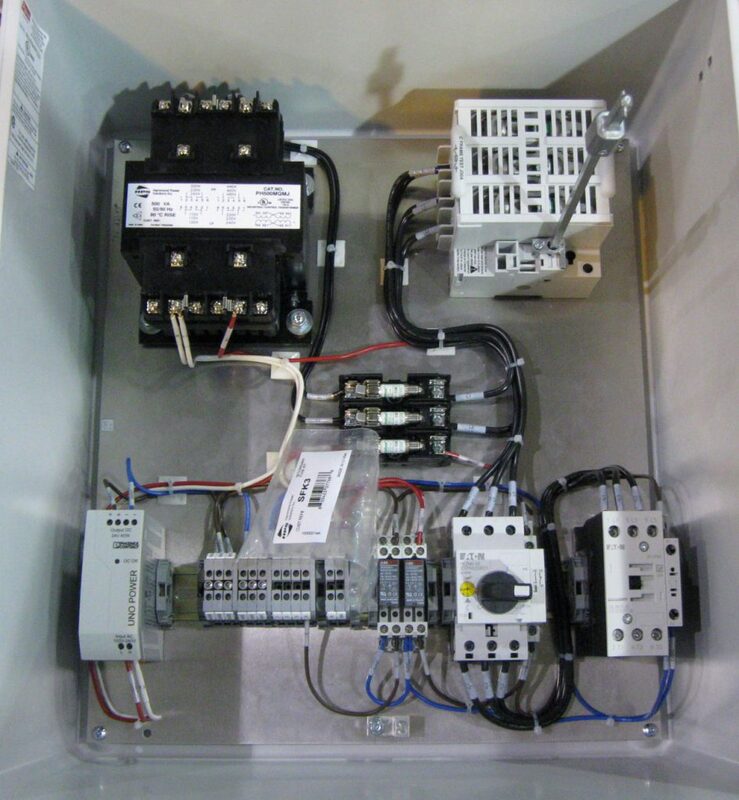 These field panels created by IPS contain motor contactors, VFDs, safety circuits, and PLCs that control and regulate the flow rate of water through the various processes. With reliability being one of the top priorities for these panels, they feature a unique design. These panels can be worked on while an operator controls the process manually. If there is an issue with the automation system or other equipment in the process, operators can manually override the system and control the pumping stations manually through the control panel while repairs take place. This feature allows the process to continue during what would normally be a very costly downtime. IPS also supports the panel building and implementation of complex SCADA control panels. These supervisory control and data acquisition panels provide management tools and information to help increase efficiencies and overall plant reliability. Supporting these types of control panels projects and bringing these operations up to modern standards benefits the reliability and safety of the facility and keeps clean water flowing to our taps and pollution out of our ecosystems.